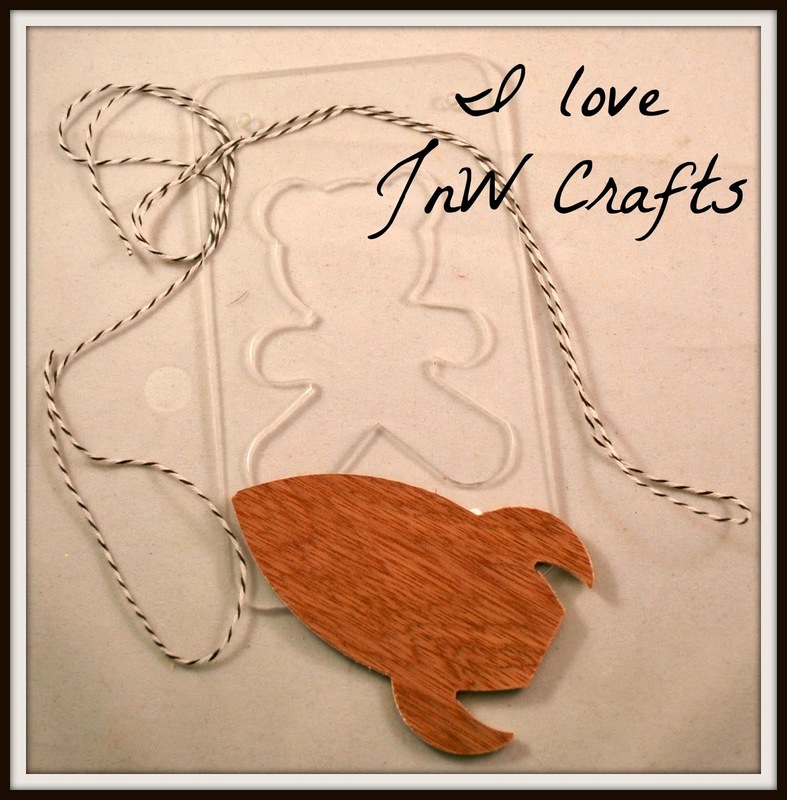 It's the start of a new week, and it's also time to show off another project! 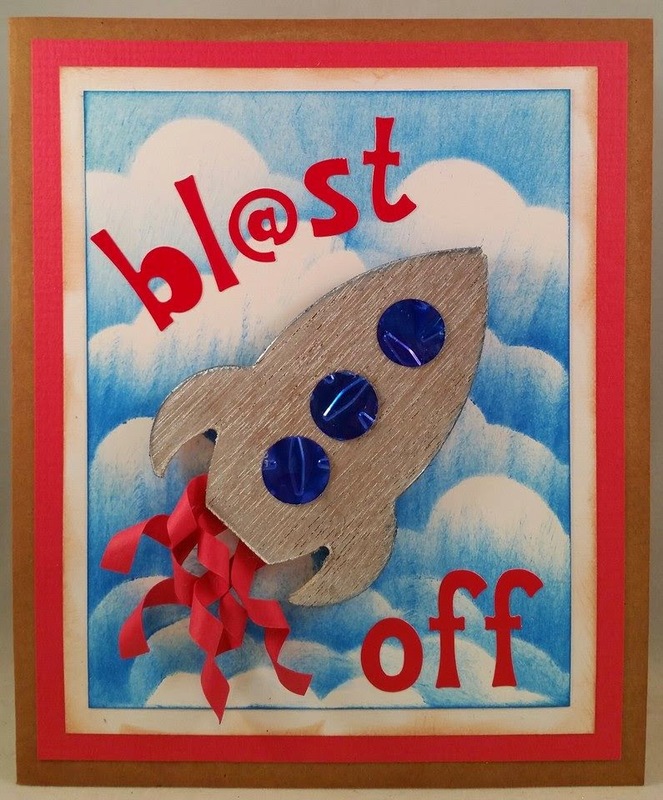 This card uses our wood rocket ship embellishment. The card was actually pretty quick to make too! I started with a kraft cardstock base, then added a layer of red and white cardstock on top. Now the fun part begins. I took another piece of white cardstock and created layers of clouds using blue ink and a homemade mask. Then I used silver alcohol ink and colored the rocket ship. The "flames" are simply strips of cardstock that I wrapped around a pencil to make them curl. The blue dots or simply heavy duty foil that have been run through a Cuttlebug with an embossing folder then punched out. Lastly, I just added my sentiment. Easy peasy right?